“We need your support. 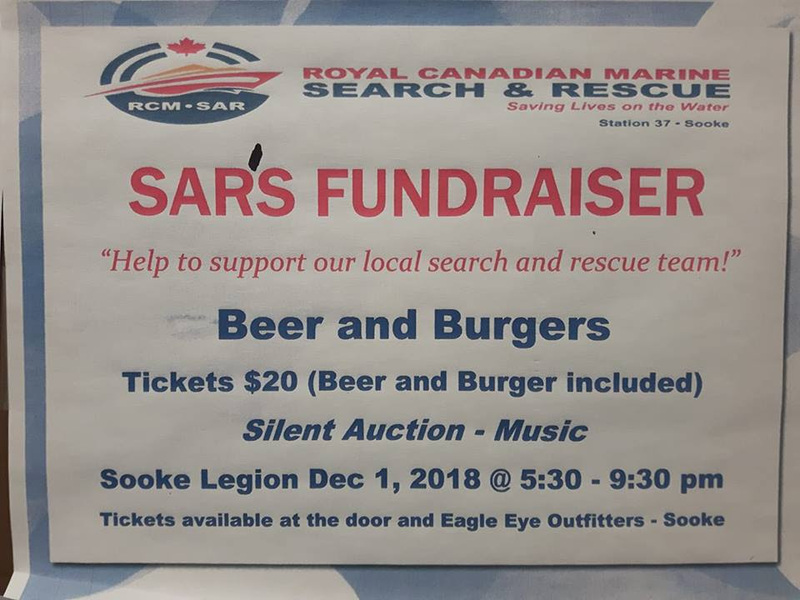 Please consider attending this event and helping our marine SAR volunteers with financial support by purchasing your beer and burger tickets and many, many auction items. “Auction items and prizes from Village Food Markets Western Foods, 2 Reel Fishing Adventures Sea Park, The Source, Buffy’s Pub & Liquor Store and much more.